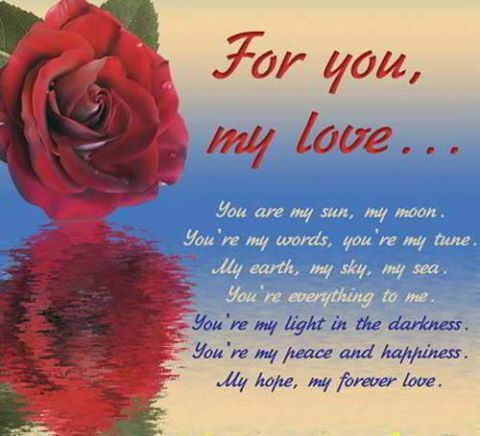 For You My Love, You are my sun, my moon. You're my words, you're my tune. You're my light in the darkness. You're my peace and happiness. My hope, my forever love.